Greg McKeown’s framework for focusing on what’s important and eliminating what’s not—even in the most chaotic of times. 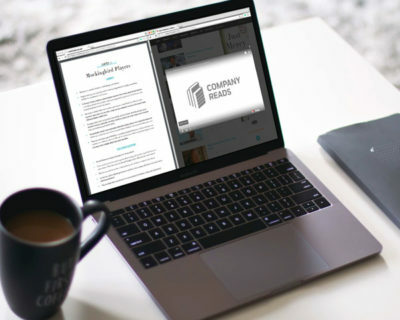 A regular speaker at Fortune 500 companies, including Apple, Google, Facebook, and Microsoft, Greg McKeown guides organizations through disruptive changes with his strategic framework for discerning what is essential. Greg McKeown introduces leaders to a systematic discipline for discerning what is absolutely essential and eliminating what is not. Essentialism is a must-read for any leader, manager, or individual who wants to do less, but better. 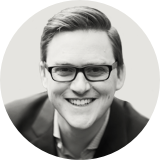 Curated content enhances Greg’s discussion of “essentialism,” time management, and streamlining workflow. 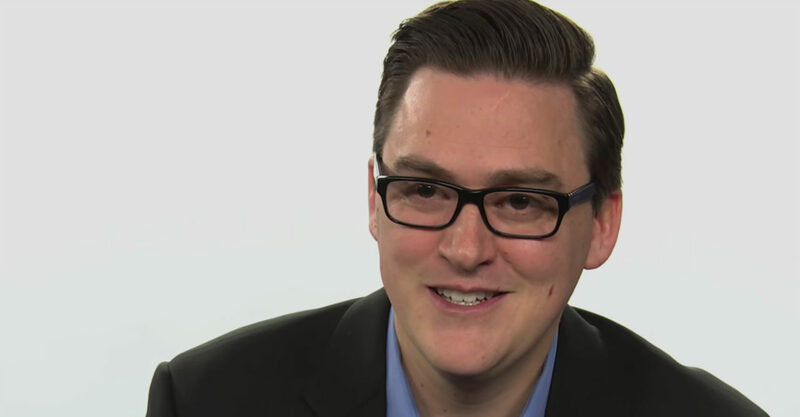 Describing five ways teams become dysfunctional, McKeown illustrates how to create unified and adaptable teams that produce breakthroughs in the face of any challenge. McKeown offers a framework for discerning what is essential, eliminating what is not, and removing obstacles in order to make the execution of what is essential as effortless as possible. The second half of innovation is rarer than the ideation phase, but it’s also where true breakthrough value lies. 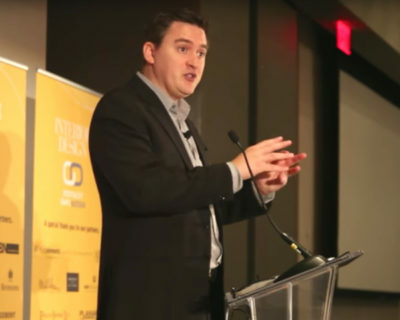 In this keynote, McKeown teaches how to select only the most valuable ideas and execute them effortlessly. Have you ever felt the urge to declutter your work life? Do you often find yourself stretched too thin? Are you frequently busy but not productive? 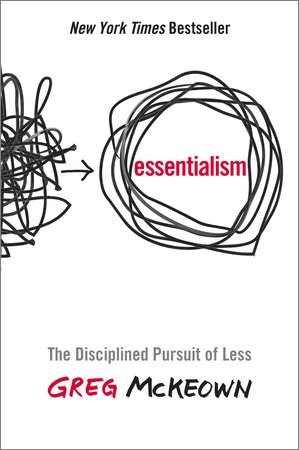 The Way of the Essentialist isn’t about getting more done in less time. It’s about getting only the right things done. It is not a time management strategy, or a productivity technique. It is a systematic discipline for discerning what is absolutely essential, then eliminating everything that is not, so we can make the highest possible contribution toward the things that really matter. Essentialism is not one more thing—it’s a whole new way of doing everything. 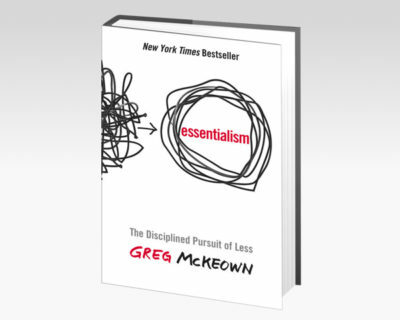 A must-read for any leader, manager, or individual who wants to do less, but better, and declutter and organize their own their lives, Essentialism is a movement whose time has come. Available as hardcover, eBook, or unabridged audiobook. 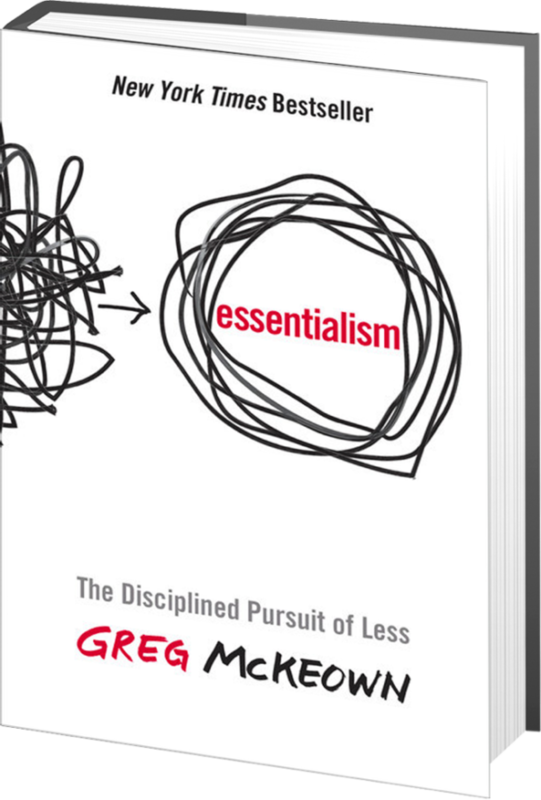 Find out how Greg McKeown can help your organization apply principles of “Essentialism” by contacting us today.